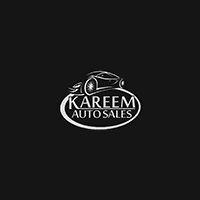 If you’re shopping for a used car on a budget, Kareem Auto Sales Inc has you covered! You don’t have to lower your standards, settle for a model you wouldn’t otherwise choose, or search high-and-low for used car leasing options. Our selection of used cars under $5K includes 1 great models with excellent fuel economy, practical engine power, and cozy cabins. Explore your options below, then contact us to schedule a test drive near Elk Grove and Roseville! When it comes to used-car buying, dealerships offer benefits you simply can’t get through private sellers. For starters, dealers deliver a more extensive selection of used cars, making it easier to find the perfect vehicle for your Folsom commutes. Additionally, you can take advantage of pre-owned vehicle specials and shop under-$10K and under-$5K inventories for the best deal. What’s more, our finance center can help you apply for financing and trade-in your current car, so you can afford the vehicle you want!